Summer is right around the corner and that means that wedding season is upon us! Planning for a wedding, while it is exciting, can be stressful and very demanding. From finding the right dress to deciding on a favor for your guests, your wedding check list never seems to end. 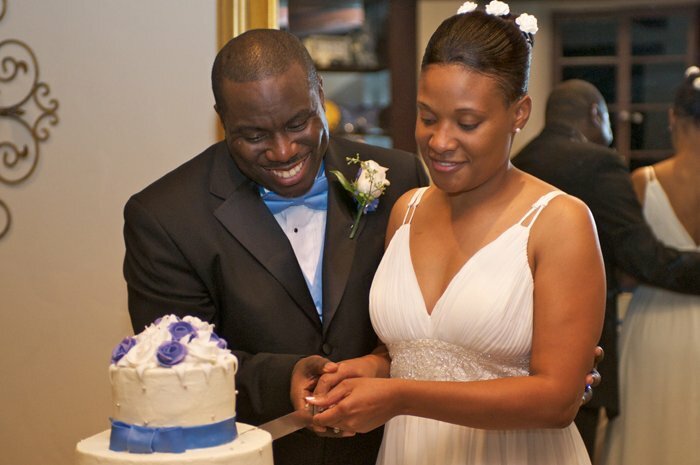 At A La Carte Catering & Cakes, we are dedicated to helping our brides and grooms in any way that we can. Whether you are simply looking for wedding cakes or for a wedding catering company in Dallas, we have the skills and experience to make this the smoothest part of your wedding planning experience. We also have a few tips on how you can make your wedding planning experience as enjoyable and stress-free as possible. Before you dive into planning your wedding, it is important to prioritize what aspects of your wedding are really important to you. Whether it is the photographer, the DJ or the caterer, try to keep your focus on ironing out the most important details first. You will want to spend the most time on things that are most important to you. While we know that you are going to be spending some time thinking about what your guests may or may not enjoy, it is important to remember that this is your wedding. It is going to be nearly impossible to please everyone at your wedding. Whether they don’t like the catering choice or the bridesmaid dresses, you’re not going to be able to strike everyone’s fancy. When it comes down to it, focus on your preferences and what makes you happy. As we mentioned before, wedding planning can be hectic. With so many different people involved, you are going to be given plenty of advice, suggestions, and opinions (wanted and unwanted). You and your spouse are bound to have differing opinions about certain things, but it is important to remember that you two are a team and that you need to work together to come to a solution. Keep your focus on what is really important and that is your relationship.